Family Guy Season 2 Episode: 15 - Dammit Janet! 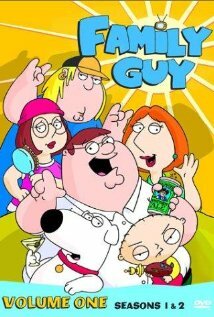 Family Guy Season 3 Episode: 14 - Peter Griffin: Husband, Father...Brother? Family Guy Season 9 Episode: 10 - Friends of Peter G.
Family Guy Season 9 Episode: 18 - It's a Trap! Family Guy Season 11 Episode: 8 - Jesus, Mary and Joseph! Family Guy Season 12 Episode: 19 - Meg Stinks!